The annual Pasadena Showcase House for the Arts brings together local designers to transform a historic house at a top secret location. This year’s Showcase House is a magnificent English Tudor designed by the prominent architectural firm of Marston & Van Pelt. It was constructed in 1916 and features six bedrooms, four bathrooms and two half-baths. The majestic two-acre property includes a pool and badminton court on park-like grounds. 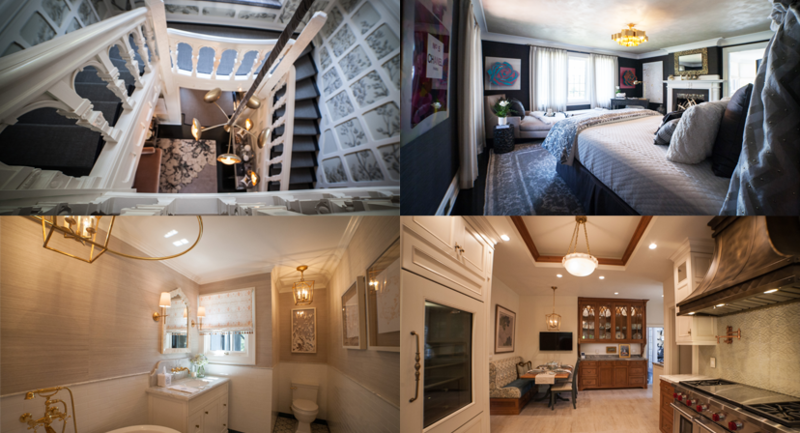 Each room features unique details like the custom made kitchen tile, honey bee shaped doors knobs in the gardener’s cottage and hand selected books on bedside tables. In addition to the home itself, another essential part of Showcase House experience is visiting The Shops at Showcase and dining, on-site at Wisteria Terrace Restaurant and The Ivy Court. The Restaurant at Showcase offers light breakfasts, lunches and gourmet dinners, brought to you by TasteBuds Culinary, Inc. as well as a selection of fine wines from San Antonio Winery. The Showcase House will be open for tours from April 23 to May 17, 2016. Parking and complimentary shuttle service is at Pasadena Rose Bowl – Lot I, 360 North Arroyo Boulevard, Pasadena. Tickets cost between $35 and $45 and can be ordered by mail, online at PasadenaShowcase.org or by calling (714) 442-3872.